The ASPCA (American Society for Prevention of Cruelty to Animals) does not recommend cargo travel for dogs as far as possible. Toy breeds and small breeds are allowed to travel in crate in the cabin. But if you have a medium sized or large dog or if your dog is traveling unaccompanied, you have no choice but to check it in as baggage and travel as cargo. Let us study some tips for flying with dogs in cabin or cargo. Is it safe to fly your dog in the cargo? As stated before, the Humane Society of the United States does not recommend cargo travel to dogs unless absolutely necessary. Having said so, airlines are known to safely transport thousands of animals safely in climate controlled cargo hold. With some preparation and planning your can easily prepare your dog for a safe flight in cargo or cabin. The Department of Transportation or DOT requires passengers to register cases of loss, injury or death. The copies of these reports are available here. This will give you an idea about the best airline for dog travel. Find out the airlines’ procedure for transporting animals. Request to have the pet boarded last and unloaded first. Many airlines with Pet Safe programs offer this facility. Airlines like United have special kennel facilities at some of the major hubs such as Chicago. Pets are often unloaded here and walked, fed or even bathed in these hubs which are climate controlled. Some airlines refuse to fly certain breeds of dogs especially pugs and brachycephalic or snub-nosed breeds as they have breathing issues. If you have a connection, speak to the airline whether you have to claim and re-check your dog in again. This is quite likely, if you are traveling with another airline. Airlines have restrictions about the number of animals they carry. Book your pet’s ticket early in order to reserve a place for it. Puppies have to be at least 8 weeks old to fly. As far as possible try booking non-stop flights. Avoid traveling during peak holidays season when there are delays and flights are inevitably overbooked. Do not take your pet to places with extreme temperatures. Ask the airline if you are allowed to place frozen water in the pet’s crate. 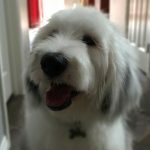 Speak to your vet about a natural dog sedative for flying your pet in cabin or cargo. Most vets refuse to prescribe conventional doggy downers or sedatives and tranquilizers as these tend to make pets more anxious and can be dangerous as well. Hemp based treats or CBD oil treats can be used instead, as they are natural and safe and many pet owners have seen good results with them. PremiumCare Calming chews can also relieve anxiety and stress, and are good to keep on hand. 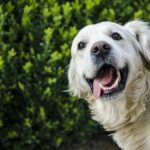 Check out my article on CBD oil for dogs. In order to ensure the safety of your pet, I recommend following tips. You must start these steps at least a month or two before the flight. This is especially needed if it is your pet’s first flight. Subsequent flights will not need so much preparation. Take the time to prepare your pet physically and psychologically for the trip. Even NASA does not allow humans to outer space without months, sometimes years of training! If you live close to the airport, take your pet in its crate to the airport so he can get used to the frightening sounds of planes taking off and landing. In extreme cases, you can also get your pet to the swimming pool so he can experience ‘gravity-challenging sensation’. All these exercises will help condition your pet’s brain to experience different sensations in the cargo hold. Tape your pets’ name and photo to the crate. Make sure your dog is wearing a collar and is micro-chipped. Before the flight, feed your pet at least 3-4 hours prior to check in. Make sure you have time to feed him some water and go on one last potty break prior to sending him off in the cargo. Some airlines need you to sign on a certificate showing when you fed your pet last. Allow ample time to drop off your pet in cargo which is often located further away than the check-in/gates. 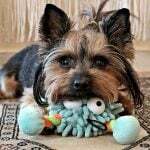 If you have a toy or small sized pooch, rejoice! Traveling with your dog in cabin with you is far less stressful for both you and your pet than flying your dog in cargo. Choose your seat via seatguru.com which indicate the seats with larger legroom. Select your seat with your pet’s comfort in mind. Identify your dog with tag and/or collar and make sure it is micro-chipped. This is very important in case your pet gets lost. As stated before, make sure s/he gets used to the sounds of flights taking off and landing. Note that different airlines have different requirements about carrier/crate sizes. Carrier should be small enough to be stowed away under the seat in front of you. During flight you are not allowed to let your dog out. You can certainly put your hand in to pat him or feed him a treat. Exercise your dog well before the flight. Feed him at least 4 hours prior to the travel. Do not over water your pet. Time your arrival and the flight’s time. Make sure you get time to feed him some water and have him go potty before the long flight. Choose a crate 10”x 13”x 23” or as recommended by the airlines. Ensure that the crate has a waterproof bottom and is well ventilated. Make sure your pet is used to staying inside the carrier for long periods of time. Line the carrier with a good absorbent pad, newspapers and plenty of soft toys, chew toys and Kong toys. Carry enough kibble for a couple of meals and a small bowl for water in case of delays. 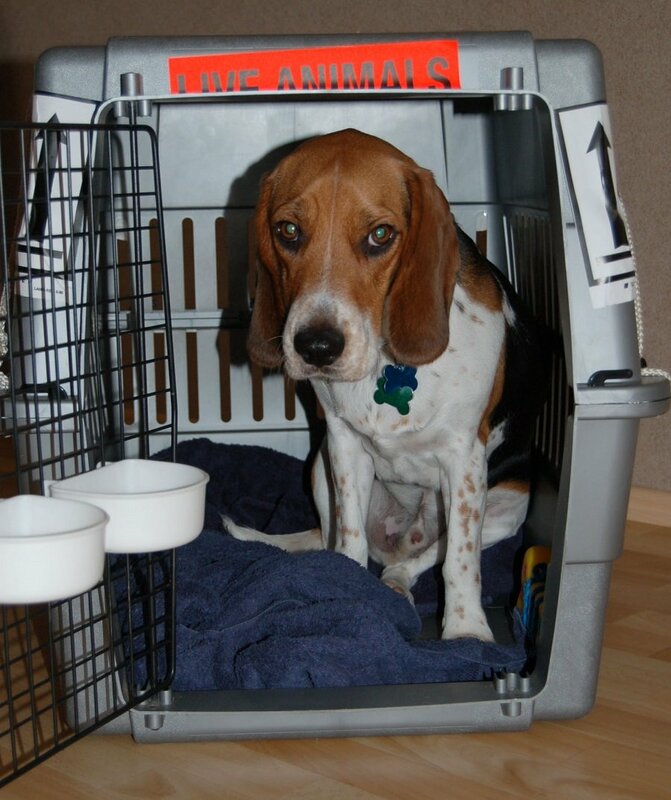 Place a T-shirt that you have recently worn inside the crate in case your dog is flying in the cargo. Tape a photo of your pet to the outside of the crate. Place frozen water in the crate if allowed. We hope these tips for flying with dogs help you out and ensures your pets stay comfortable during the long journey.